This beautiful 4 bed 3.5 bath home tucked away inside a quiet cul-de-sac is a definite must see! Upon entry you are greeted by an elegant formal dining room perfect for entertaining! 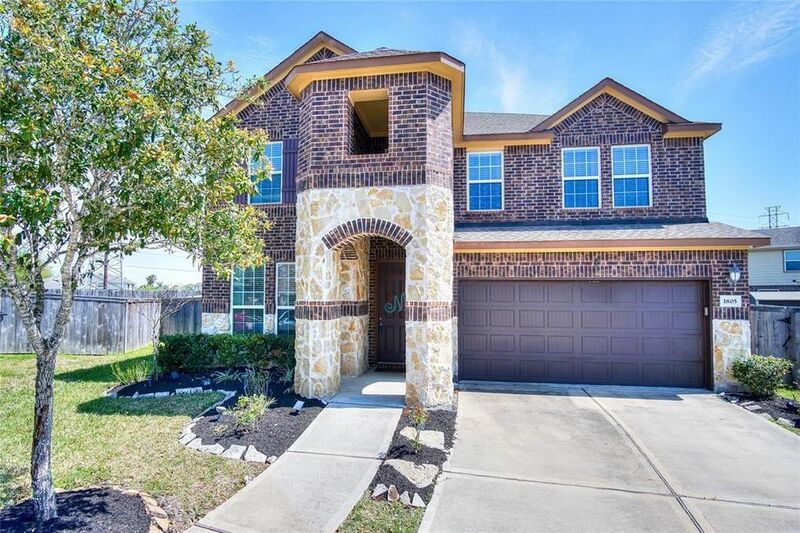 After passing through the entryway you come to a stunning family room featuring a soaring 2-story ceiling, tile floors, a stone fronted fireplace & floor to ceiling windows that shower the space in natural light! Unleash your culinary skills in the gorgeous island kitchen equipped with granite countertops, tile floors/backsplash, stainless steel appliances & ample storage space! In the evenings, withdraw to the spacious master suite with a luxurious bathroom showcasing tile floors, a walk-in closet, a garden soaking tub & a tiled walk-in shower! The 2nd floor houses a massive gameroom a media room & all 3 secondary bedrooms! Best of all, enjoy your very own private backyard retreat complete with an open patio, a pool & plenty of green space for activities! Do not miss out on this amazing opportunity! Directions: FROM SAM HOUSTON TOLLWAY SOUTH EXIT BLACKHAWK BLVD GO SOUTH. RIGHT ON HUGHES ROAD. LEFT ON RIVERSTONE RANCH. LEFT ON RIVERSTONE FALLS. LEFT ON DRY WILLOW. LEFT ON DRY WILLOW COURT. HOME IS ON THE RIGHT.